The GHGT-9 conference will be held on November 16-20, 2008, in Washington DC, with major sponsorship provided by the U.S. Department of Energy. These conferences are held every two years in the programme's member countries, and rotate between North America, Europe and Asia. 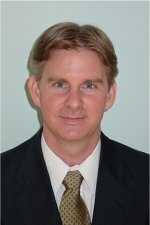 Jim is a senior staff scientist located at the Joint Global Change Research Institute (JGCRI), a collaborative partnership between the Pacific Northwest National Laboratory and the University of Maryland.